Mission: The Missouri Amusement Ride Safety Board works to ensure that amusement rides throughout Missouri are properly inspected and safely operated. 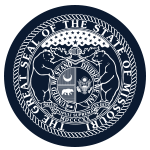 Function: The Missouri Amusement Ride Safety Board reviews and approves the operation of amusement rides in Missouri to make certain that amusement rides are safe and working properly before being used by the public. Total time commitment: Approximately four to five hours per meeting, including time to travel, prepare and meet. Member Requirements: Three members represent small amusement ride businesses that operate in Missouri, three members represent Missouri’s fixed amusement ride parks, one member represents the general public, one member must be a mechanical engineer knowledgeable of amusement rides, and one member being the State Fire Marshal. Political Requirements: Yes, no more than four members shall be members of the same political party.